The Warriors dismal start to 2014 continued with their fourth defeat in four games. This time the victors were Arbroath who went into the game without any of their normal strikers but that did them no harm as they won for the first time in 13 games. Their last victory had been in October. Stenhousemuir were missing Ross McMillan after his dismissal last week and that meant Eddie Malone went back into the centre back position with Kevin McKinlay at left back. Bryan Hodge replaced David Rowson and Kris Faulds also came into midfield. Up front John Gemmell was also suspended and Darren Smith returned for his first start since November. In the early stages of the game the Red Lichties poor form did not seem to be in their minds as Chris Smith had to save a deflected Alan Cook effort in the 8th minute. This was followed by a long range free kick by Paul Sheerin that just ran away from Colin Hamilton as he tried to get on the end of it. Stenhousemuir have been notoriously slow to get into games of late but they put that behind them when they took the lead in the 13th minute. This was the first time that they had caused the Arbroath defence problems and came when a lovely weighted pass by Sean Higgins to Darren Smith was dispatched into the net as he celebrated his return to the starting eleven after injury. This goal lifted the Warriors and they pushed hard for the second goal and with a bit of luck they might have increased their lead as Arbroath were all at sea and were struggling to clear their lines with any certainty. The closest that there was to a second goal though came through a Higgins effort that went just the wrong side of the post. Stenhousemuir were not in the ascendancy for too long though as Arbroath equalised in the 18th minute. A Stenhousemuir attack broke down deep in the Arbroath half and they failed to cope with the swift counter attack. Player manager Paul Sheerin started the move with a ball out to the ever threatening Bobby Linn who was given the time and space to drive forward before crossing for Chris Scott to fire home. Arbroath of course gained in confidence from this and could have scored in the 24th minute with Linn once again the architect when he picked out Ross Chisholm but he was denied by Chris Smith who brought off a top class save. A minute later a Sean Lynch cross found no takers when a cross split open the Arbroath defence. Arbroath were playing with the wind at their backs and seemed more comfortable in the conditions and Sheerin rattled the crossbar from 25 yards in the 32nd minute. However there was no further scoring and the half ended with the scores level. Stenhousemuir were forced into a substitution at half time with Kevin McKinlay suffering a calf strain and this meant that David Rowson moved to centre back and Eddie Malone to the left back berth. There was another scare almost immediately after the restart when Bobby Linn just failed to get on the end of a cross when he was only two yards out. Stenhousemuir responded with a Higgins free kick that went over the bar without troubling Scott Morrison. As the game progressed the Warriors had more possession with Darren Smith being at the heart of it but the closest he came was a snapshot into the side net in the 61st minute and an appeal for a penalty that was turned down after a cross was blocked by a defenders hand. In the latter stages though it was the home side that began to play at their own tempo and as they settled down the chances gradually came. The warning signs were there when Alex Keddie fired a Linn corner just wide but it was the introduction of Dayle Robertson that made the difference. Within a minute of coming on he had set up Linn whose effort was well blocked by Stewart Greacen. A minute later Chris Smith brought off a superb save from Robertson who had got behind the Stenhousemuir defence. The warning signs were not heeded though and Arbroath scored the winner in the 87th minute. Once again Bobby Linn was the provider after Stenhousemuir lost possession and Robertson dispatched the ball into the net. Over the 90 minutes Arbroath deserved victory but Stenhousemuir contributed to their own downfall and are in danger of dropping into the relegation dogfight. Arbroath – Morrison, Banjo [b67], Hamilton, Nicoll [b67][D.Smith 73], Travis [b47], Keddie, Linn, Chisholm [b49][Little 83], Scott, Cook [Robertson 82] and Sheerin. Subs not used – Lindsay, Yao, Martin and Wilson. 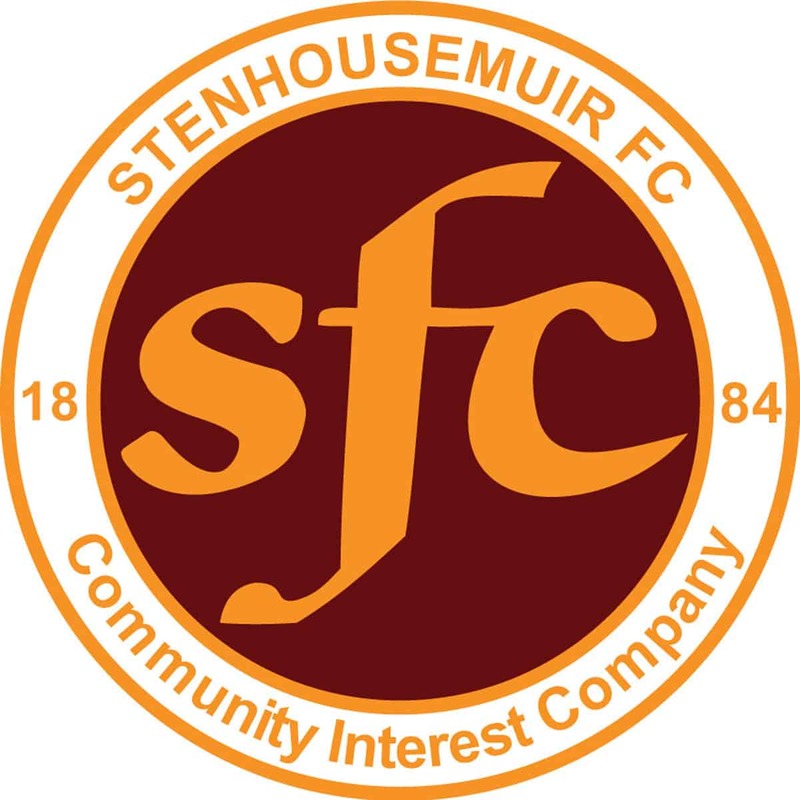 Stenhousemuir – C.Smith, Devlin, McKinlay [Rowson h/t], Greacen, Malone, Hodge, Dickson, Faulds, Higgins, Lynch and D.Smith [McNeil 87]. Subs not used – Douglas, Ferguson and Shaw.